Interests: Skin Cancer Medicine and Surgery, Travel Medicine, Men’s Health. Consults: Monday, Tuesday, Wednesday and Friday. 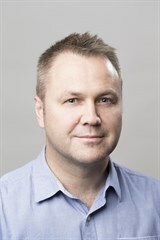 Nick graduated from Melbourne University in 1990, and spent five years training in various hospitals before commencing General Practice. He worked in Tasmania then in North Queensland for another six years before joining Bluff Road. He is a member of the Skin Cancer Society of Australia and has completed a Post Graduate Certificate in skin cancer. Nick regularly conducts lectures to other healthcare professionals about skin cancer and the use of medical and aesthetic lasers. His social interests include: Tennis, AFL (St. Kilda), Soccer (Liverpool), Scuba diving and Travel. For travel medicine appointments, please phone 9598 6244.